When thinking of Studying MBBS in Abroad the first country comes into our mind is Philippines. MBBS in Philippines is the best option because Philippines is a Center of Medical Education around the world. All of the Medical Colleges and Medical Courses offered by these Colleges are recognized worldwide. The Medical Colleges in Philippines provides high-quality education thus the students can gain Practical Knowledge with a huge number of lab exercises. 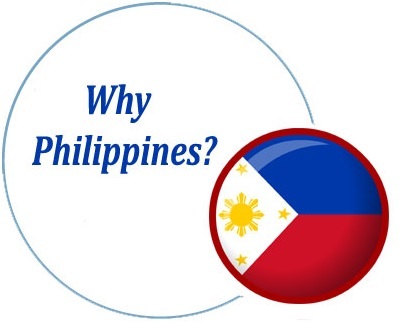 Because of these reasons Indian Students shows interest to Study MBBS in Philippines. And more over Why Indian Students preferring Philippines apart from other countries like China, Russia is because of language. Philippines is an English Speaking Country. The most important thing that attracts Indian Students towards Philippines is its cost of Studies. The Studying Cost in Philippines is very less compared to the India. It cost between 11-22 Lakhs. With these reasons, Philippines has become the education hub for thousands of aspiring Foreign Medical Students from 65 Countries. According to the Bureau of Immigration Reports, the Abroad Students Studying in Philippines has increased from 26,000 to 61,000. So when you are planning to Study MBBS in Philippines, you may get different doubts regarding Philippines Education, Life Style, Cost of Living & Education, Application Process, etc. To help the Students planning to Study Medicine in Philippines here we have provided the complete information on Philippines Education, Top Universities, Intakes, Admission Process, everything that will be required by a Student. 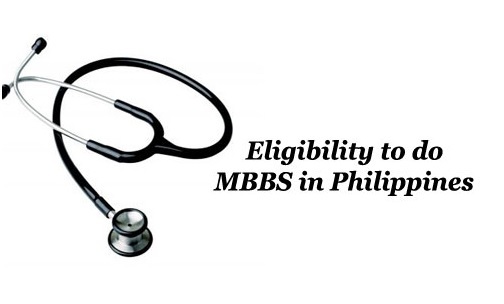 So follow the below sections to know about MBBS in Philippines. Studying MBBS in Philippines is one of the Best Option available to Indian Students those wish to complete Medicine in Abroad. Among all the Asian Countries Philippines is the Finest Country that offers the finest education system at an affordable cost. Philippines has become the Best Study Option mainly due to the English Language Courses which means the students can pursue education completely in English. Not only this, the medical colleges in Philippines offers high-quality education at a relatively low cost. And another important thing why most of the international students prefer Philippines is its Universities. All the Medical Colleges/Universities in Philippines and the courses offered by these colleges are recognized worldwide. Unlike other Foreign Countries, almost all Philippines Universities offer Medical Education in English Medium. And after completion of Study program students always have a choice to proceed with their future steps. So Because of its world renowned and globally recognized medical education, Philippines has become the Best Destination to Study MBBS in Abroad. Philippines is a Beautiful Country that is made up of 7,107 Islands. Among them some are cities, Some are small and some are big, Where some Islands are the epitome of tropical dreams, Some are Sandy, Some are exotic, and overall the Philippines is a Unique Country with Beautiful Islands. It is surrounded by the Pacific Ocean to the west, Bashi Channel to the North, The Sulu and the Celebes Seas to the South. So by its location, it offers completely a New Experience to Students and Tourists. While going to Philippines you may worry about language, there is no need to worry. Philippines is the third largest English Speaking Country in the World. So you will not have a Language Barrier. Because of this reason, Aspiring Foreign Medical Students from 65 Countries join MBBS in Philippines. The USA, Korea, China, Macau, Japan, Thailand are the some of the Countries from which the Students come to Study in Philippines. Philippines welcome Students from all over the world and offers comprehensive education & multi-cultural environment to the international students. And Philippines is the Country that has the highest literacy rate of over 94%. Who Can Do MBBS in Philippines? The Students who have completed the 12th Standard or equivalent Education to Pursue Medical Education of International Standards are eligible to apply for MBBS Program in Philippines. There is no need to write any Competitive Examinations like MHCET/AIPMT/NEET to get Admission in one of the Medical Colleges in Philippines. Philippine Universities provide Admission based on the 12th Standard Score. Because of this reason also most of the Indian Students shows interest to Study MBBS in Philippines. Though Indian Students can get admission without any Entrance Test, they need to take the MCI Screening Test conducted by the National Board of Examinations (NBE) in India to work in Indian Hospitals. Separate Hostels for both Boys and Girls. Our Lady of Fatima University. University of Perpetual Help System DALTA. Philippines is the most affordable Country to Study MBBS compared to other Foreign Countries that offer High-Quality Education. The Tuition Fee of Medical Colleges in Philippines is very less it costs around 11 – 22 lakhs, where it costs around 60 – 70 Lakhs in India. Though the Studying Cost is less the Philippine Medical Colleges offer Quality Education compared to other MCI Recognized Medical Colleges Abroad. Because of this reason, most of the parents believe that Philippines is the right place for their children to Study MBBS. On including all these Costs also the Cost of Studies in Philippines is less compared to Private Medical Colleges in India. Philippines has a Tropical Climate which is Similar to India. No Language Barrier. Philippines is the third largest English Speaking Country in the World. There are so many MCI Recognized Universities. The MD Degree you get from MCI Recognized Universities in Philippines is equal to the MBBS Degree you obtained in India. All most all Medical Colleges in Philippines offer Education Programs in English and they offer Practical Knowledge with a huge number of exercises. 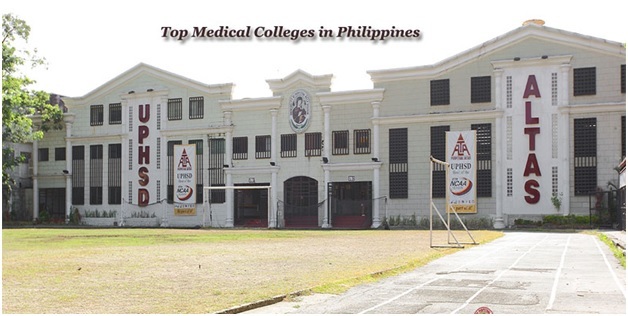 The Universities and the Courses offered by the Philippine Medical Colleges are recognized worldwide. 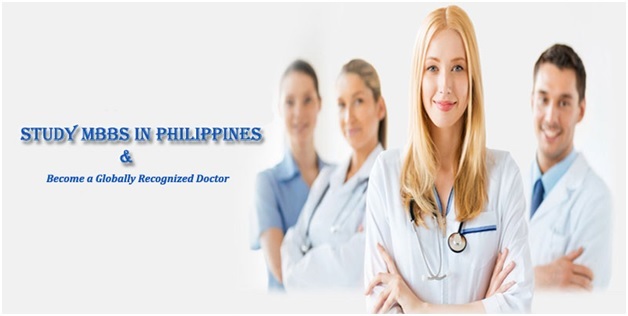 You will get a Globally Recognized Degree by completing MBBS in Philippines. The Philippine Medical Universities offer Modern Teaching Methods with First-rate facilities and equipped with well-established infrastructure. The Cost of Education in Philippines is affordable. Philippine Universities provide Separate Hostels for both Boys and Girls. The Curriculum and Syllabus are similar to India. It is the World’s 2nd Largest Doctor Exporter after India. Living and Accommodation Charges are very less compared to India. 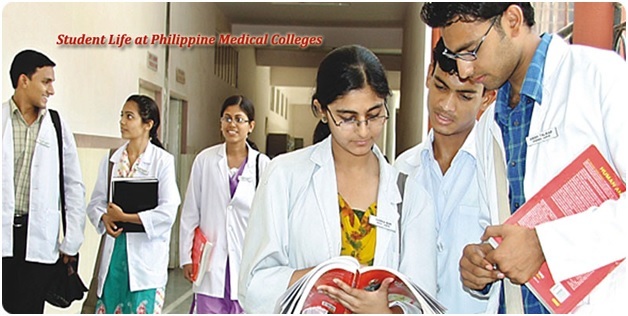 Compared to Indian MBBS Admission getting Admission in Philippines for Indian Students is less Competitive. A Middle-Class Economical Background Student can also afford Education in Philippines. There is no need to take any Entrance tests to get Admission in Philippine Medical Universities while some Universities require National medical Admission Test (NMAT) which consists of Two Parts. The First Part Part-I consists of questions from Reasoning & Quantitative and Part-II consists of questions from Physics, Chemistry, and Biology. There is no need to get any ranks in this test just passing NMAT Test is enough to get Admission. After getting NMAT qualification Certificate you are eligible to apply for the Universities in Philippines. The Simple Admission Procedure for Philippines is provided below. Get the Application form from the selected Universities. After receiving the Application University will send you the Admission/Offer Letter. On receiving the Admission Letter you need to attend Immigration Process. For the Immigration Process, you need to visit the Russian Embassy. On the base of the Invitation letter, your Visa application will be processed. Completely filled VISA Application Form. A copy of Admission Letter / Invitation Letter. Medical Certificates in proof of Fitness. The Foreign Students can apply to the Philippine Medical School of his choice by submitting the documents authenticated by the PFSP. But the Admission in Medical Colleges in Philippines is not that easy. It involves several Application Process Steps. 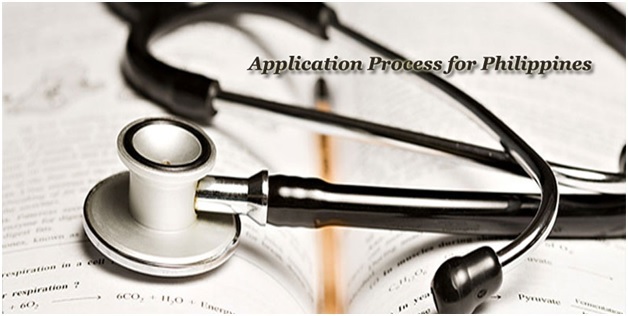 So it is better to consult an authorized consultancy that process Medical Applications for the Students who wish to do MBBS in Abroad. BS-MD Program in Philippines is nothing but the MBBS course. Except for the name, there is no difference between BS/MD Program and MBBS in Philippines. For admission into this program in Philippines, there is no entrance exam. The BS-MD program syllabus is same as the syllabus of MBBS course in India. Once you have completed your BS/MD program in Philippines and attained the medical degree, you will be eligible for MCI Screening Test. After clearing the MCI screening test, you will get the MBBS degree. This degree will be given by the Medical Council of India. Are you an Indian student who passed 12th class and wish to study MBBS in Philippines? First, you need to enroll for the BS course. This course is between 2 to 3 semesters or 1 to 1.5 years. Once the BS course completed, you can take the NMAT test and enroll for the 4-year MD course. To get admission in MD course at government medical colleges in Philippines, it is compulsory to clear NMAT exam. But for the top-ranked private colleges, you will be enrolled for the MD course, but you need to appear for the test again until you clear it. This 4-year MD course is not same as the MD course in India. The BS course is a bridge course which is not tough for the students to complete. But the real studies regarding medicine starts only in the MD course. Why BS Course before MD course? There will be a doubt for many of the students that ‘Why should I do a BS course before doing the MS course’. You need to do BS course because the Philippines follow the 10+4 education system. Philippines nationals study till 10th class and then do a 4-year BS course which is a degree course. Later if they want to study medicine after that 14 years of education, then they can join in the MD course. But in India, we follow the 10+2 education system. So, this is the reason why the Indians need to do 1 or 1.5 year BS course before enrolling for MD course. If any Indian MBBS aspirant wants to enroll directly to the MD course, then they need to complete B.Sc/Biotech/BAMS/BHMS. Finally, I want to say that an Indian student who want to study MBBS in Philippines, need to do a BS course of 1-1.5 years and MD course of 4 years i.e., the total duration of 5 to 5.5 years. In the coming years, this system in Philippines may also change over to 10+2 education system. What to do if I have completed Graduation? If you have completed your graduation such as B.Sc/ Biotech/ BHMS/ BAMS then you don’t need to do the BS course like the students who have completed 12th Class. You can directly join the MD course to study MBBS in Philippines. For this, the duration will be for only 4 years not 5 to 5.5 years. So, you can save money and spent that on the food, accommodation, etc. In short, I can say that after your graduation (B.Sc/ Biotech/ BHMS/ BAMS) you can try for admission in 4-years MD course in Philippines. Many students who want to study abroad will look-up for the Scholarship opportunity. But not all countries provide scholarships to the foreign students or Indians for studying medicine. 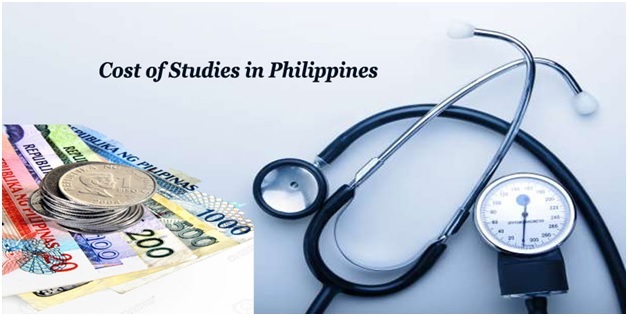 However, as we are talking about MBBS in Philippines, let us know about Scholarship for MBBS in Philippines. The good news for you is, there is a scholarship opportunity for the students who choose to study medicine in Philippines. The scholarship will be given to the top 10 students from each class or section in the first year of BS course. To get the MBBS degree from the Medical Council of India, you need to clear the MCI Screening Test. You will be eligible to sit in the MCI Screening Test only when you complete or attain the medical degree in Philippines. The students who have done Medicine in Philippines will perform much better in this MCI screening test when compared to the other countries like China, Russia, Ukraine, and Nepal. As the Philippines follow the American pattern of teaching, there will be a very high standard medical education. So, the students who study MBBS in Philippines can perform better in the MCI Screening Test. In 2012-14 the MCI Screening Test passing percentage is about 25%. Many of the students think that the Screening Test is difficult and less number of students are able to pass. But the percentage of students passing the MCI Screening Test is more than the percentage of students who get admission in India. No matter what the test is, you will clear it if you study well. So, if you study hard you can clear the MCI screening test easily but for the students from Philippines medical college little bit less effort is enough.